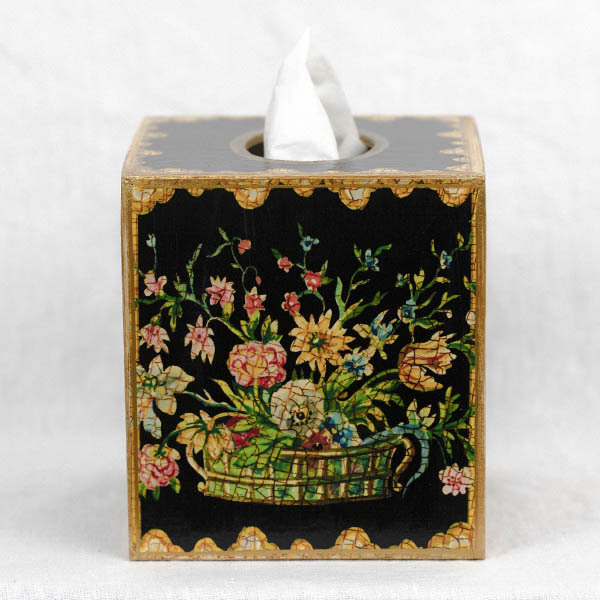 This vintage-inspired flower design is decoupaged on each side of a 5 by 5.5-inch wood tissue box cover. The artwork also includes Robin's signature crackle design. 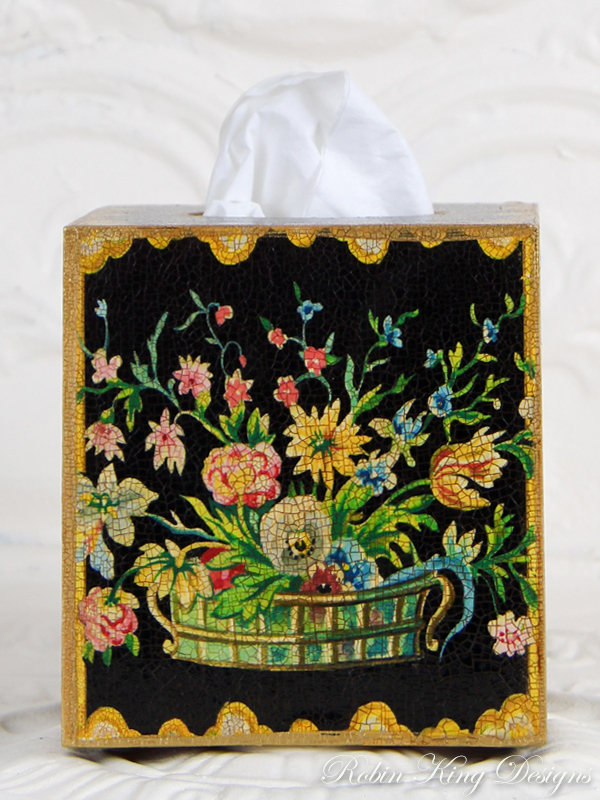 Created in her Colorado studio, this tissue box ships free in the U.S.